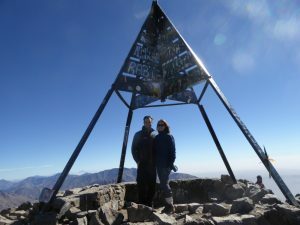 At 4,167m, Mount Toubkal (or Jebel Toubkal) is the highest mountain peak in Northern Africa. Situated in the Atlas Mountain Range, Toubkal is roughly 60km from Marrakech in south-west Morocco. Trekking Mt. Toubkal is a moderate challenge for even the fittest of hikers, but from experience, the views from the summit are incredibly rewarding. We chose to hike to the summit at 8 am, as opposed to going before dawn and were rewarded with having the entire summit to ourselves, as everyone else had already begun the descent. On the summit, we were confronted with a breathtaking view of the desert and mountains – it was definitely worth the hike. 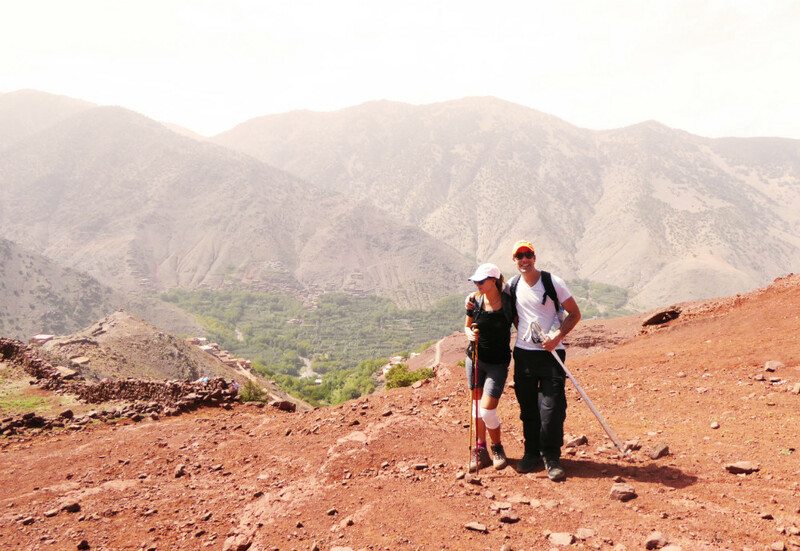 Toubkal is one of those places that is stunning in every season and can be trekked at anytime in the year. We visited in autumn (October), and while the weather was still hot, it wasn’t unbearable like it is in the summer. Another plus for visiting in October was that there were few other trekkers along the trail, unlike in spring, when the route can become rather crowded. Spring (April and May) is the most pleasant time of the year in Morocco, which is why it is also the busiest. Summer (June – August) is hot and trekking can be uncomfortable, but manageable if you have more than enough water. Winter (November to April) turns Toubkal from a trek into a technical climb. This means that you will need specialised equipment, such as an ice axe, a fixed rope and crampons, as well as the necessary knowledge and experience in how to use them. While the winter climb is not particularly dangerous, it can be difficult, if you’ve never done something similar before. For UK trekkers, we train in Scottish Highlands, and I’m not sure what is tougher: the winter assent of Toubkal or a blazing climb in the brutal Cairngorms. There are plenty of rivers and streams along the way, but you should take your own water along – although you should also pack purification tablets just in case. While the risk of altitude sickness is not particularly high, it is a possibility. You should allow yourself plenty of time to acclimatize during this trek. Hiking the South-side: this is the most common route as it is straight-forward and therefore, easier. During spring, you will see many other travelers along this route. This trek generally lasts from 3 to 5 days to allow for proper acclimatization. 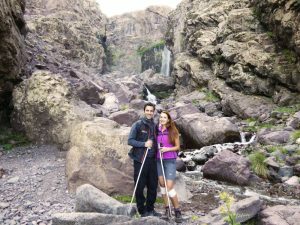 We stayed in Imlil (but you could stay in Aroumd instead, if you prefer), and then again at Refuge Toubkal. Hiking the North-side: This is the road less travelled, and you will see very few, if any, other trekkers. It is longer and more strenuous, and therefore only suitable for experienced trekkers. This secluded route takes 6 to 7 days, which allows for acclimatization. While this route ascends the north-side, you will descend on the south-side. As always, we chose to use a guide, as they know the best and safest routes. 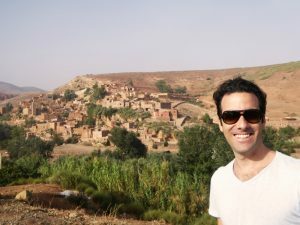 Our guide (Ahmed) was a very knowledgeable Berber, who also ended up being our personal photographer. • Traveling independently means that you will have to arrange your own accommodation, pack your own food and water, and carry your own gear. • Guided treks ensure that your accommodation, food and gear will all be taken care of by the guide and his team. We were pleasantly surprised by the quality of food our chef was mastering in the most deserted areas. If, however, you really don’t want a guide, at least consider taking a partner with you. No matter how experienced you are, accidents can and do happen, and having it happen on a mountain, while alone, is not something that anyone wants. 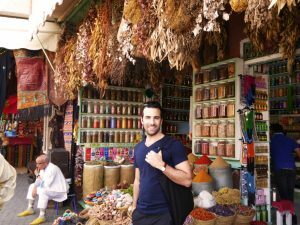 We decided that we would explore the vibrant city of Marrakech as a reward for completing the trek, and it was worth the wait. Arriving in the colourful Marrakesh was chaotic but also endearing. Walking through the bustling souk, visiting a botanical garden, or just getting lost in the crowded and narrow lanes was truly a great way to unwind after a satisfying trek. We had a wonderful elderly scholar as our local guide, and he took us on a tour of the Medina and the stunning Yves Saint Laurent Gardens. He also took us to his home near Imlil, where we enjoyed traditional mint tea and sweets with his family. By the end of our time in Morocco, we had to make our way to the airport, and we were stocked up on new, wonderful experiences – as well as our marvelous new carpet, which we bought as a souvenir and which took a girl six months to create. If you are choosing Marrakech and Mount Toubkal as your next adventure, I can promise that you will not be disappointed.